" This Is So Accurate And So Scarily Powerful, You'll Think It's Come Out Of A Science-Fiction Movie..."
'Psychic Abilities' & Predicts The Success of Your Marketing w/ 100% Accuracy..."
Facial Analysis w/ Emotional Recognition intelligence software reads your viewer's eye movements and facial expressions and reveals how your prospects respond to every marketing video, sales pitch or product you launch...making sure it's a winner -- before you waste time and money on it! Uncover buyer objections & stop profit leaks to increase conversions - See why they convert, or not. Identify hot trends and remove roadblocks to boost sales -- faster and easier than ever! (Instantly uncover where you're losing business and claw it back with covertly-obtained intelligence). Avoid the guesswork and slash video advertising expenses up to 2000% by knowing your return on investment – in advance! Create a winning video, webinar, ad campaign, product launch, affiliate promotion and more EVERY single time without fail! Used by TOP Well Known Brands To Test Consumer Reactions, Predict Crazy Buzz, And Generate BIG Profits Before They Release A Commercial or A New Product! GET INSTANT ACCESS TO HUMALYTICS NOW! Learn the strategies used by Humalytics pros! When you order Humalytics during our Celebration Launch Event, you'll get a FREE seat to attend 2 FREE Live Mastermind Sessions for Humalytics members only! Every business and marketing effort starts from this ONE question. And that's why big brands and agencies spend millions of dollars in research every year for the answer. Everywhere you look, experts say you need to make sure that you are serving the needs of your customers. If you can clearly and accurately answer this simple question, it can bring more revenue for your business -- like pouring gasoline on a fire! However, finding the real answer is not that easy. Many people think that the answer is simply asking your customers what they want. 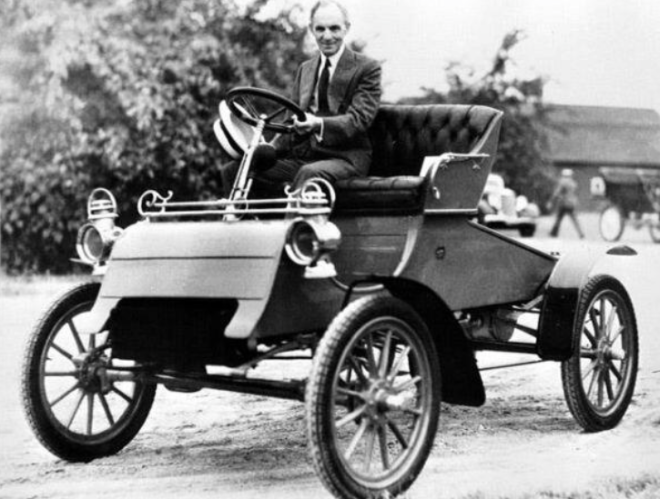 "If I’d Asked My Customers What They Wanted, They’d Have Said a Faster Horse"
What do you think would have happened if Henry Ford relied on this answer only? Well, he would have never created the first car in the world. Therefore, simply asking people and relying solely on their answers can be misleading and it might result in you to losing a big opportunity. So how do you know what the customer REALLY wants, as if you're holding a magnifying glass over their heads and reading their minds, uncovering their deepest emotions? "Is my video too long? Too short?... " "How can I KNOW if people like this product idea?... " "How can I be certain my video ad will sell or go viral...BEFORE I create it? " Until Now, Creating ANY Kind of Video or Marketing Campaign was Like Taking a "Shot in the Dark... Blindfolded!" What's making your prospects feel bored, excited, happy or sad? Do You REALLY Know The Answers? How much does it cost you by NOT knowing? How much would you spend to find out? How much MORE MONEY would you make if you knew the answers? Thoughts Create EMOTIONS....And Customers BUY Based on EMOTION. "Words Can Lie, But EYES Will Always Tell The Truth"
It's impossible for you to SEE the expressions on their faces OR how their emotions change throughout the duration of your video or sales pitch. Without these insights, you're just GUESSING! ...And the only way for you to see these things is if somehow, some way, there was a way for you to be there in person with ALL of your viewers at the same time while they are watching your video. People have changed. Technology should too. But people buy for emotional reasons, never logical. It's EMOTIONS That Make People Buy, Period. That is why we believe statistics should measure the way you FEEL. "Human Metrics" with Facial Analysis Intelligence. And that's something that "traditional video analytics" tools simply CANNOT give you any insight into. For example, let's say you check the stats in your "traditional video analytics" tool and see that viewers are falling off around 01:06 into your video. GREAT! But nothing - NOTHING in that whole dashboard - will tell you WHY. Do You Think Large Companies Like These Only Use "Traditional" Video Analytics? When you're spending millions on a video ad, you've got to get it right. That's why they use Emotional Recognition Technology. So whenever they create a marketing video, or a video ad, or even a traditional style TV commercial, they KNOW how their massive audience is going to respond...in advance! Right down to their eye movements and facial expressions. eBuzzing, a video advertising network, wanted to identify which content triggered the strongest emotional response of viewers and which emotions lead to an ad going viral. CBS wanted to analyze the interplay of promos, ads and prime-time show content in order to better understand audience emotional engagement. The psychological thriller game, Nevermind, uses emotion recognition to sense a player's facial expressions for signs of emotional distress, and adapts game play accordingly. Now That You Know About Their "Unfair Advantage"
Allowing you to create a WINNER every single time, without fail? Imagine eliminating the stress associated with trying to "guess" what your audience wants, and hoping you're right? In fact, this is how they GUARANTEE that ALL of their marketing efforts engage their audience from the very first second, and improve conversion rates by as much as 2000%. And, for the very first time, this same technology is being made available to YOU...but we fear it will only be available for a short time. Here’s the thing...we’re told that video is the future of online business. That there’s no better way to communicate with customers, build relationships, build your brand and sell your products and services. But, you and I both know it ain't always that easy. Imagine If YOU Could Capture And Measure Your Customer's "Micro-Expressions" Automatically! And How Can It Help You Craft Perfect Videos, Products, Ads, Offers and More... EVERY Single Time? As you read this page you may have squinted your eyes, raised your brow, or pursed your lips. Those small changes in your face that you make subconsciously are "micro expressions". What IF... you could eliminate guesswork by measuring real prospect behavior, as if you have psychic powers? By seeing your prospect’s smiles, frowns, boredom and attention behaviors you can identify objections on the fly. You can find the biggest opportunities for improvement in conversions and sales by identifying which emotions and particular behaviors you triggered in their minds and at what points. ...not to mention increasing sales from your video sales-letters, sales presentations, and more! Understand the reasons behind behavior – Improving the performance and experience of your videos or video calls starts with understanding what your prospects want and what's preventing them from achieving it. Previously only available to Secret Services and Big Brands, now affordable for smart marketers too – Understand what users want, care about and FEEL about your videos, webinars, products ideas, content, ads and more by visually uncovering their DEEPEST emotions – which is the strongest indicator of your prospect's motivations and desires. Humalytics™ is the all-NEW Innovative “Human Metrics” technology that measures the emotional response, facial expressions and reactions from REAL people who watch your videos to help you PREDICT and CONVERT more viewers into paying customers and save TONS of cash wasted in unproductive video marketing. So, how does this actually work? Including when (and where) your audience looks away! Give Your Business Emotional Intelligence With Just a Few Clicks! Humalytics' intelligent facial analysis algorithm measures behavior and emotional triggers in real time. You won't have to guess! Run automatic facial expression analysis that accurately pinpoints how people FEEL and respond when viewing your videos or attend your coaching calls and webinars. Guarantee in advance that every marketing video or product you launch is a winner -- before you waste time and money driving traffic to it! Avoid the guesswork and increase video ad effectiveness by up to 2000% by knowing your return on investment (ROI) – in advance! See in real-time how people really THINK and FEEL about your video ads, sales presentations, video content or new product ideas - without assumptions! Uncover buyers objections or concerns. See why people are buying, or not. Identify hot trends and remove roadblocks to increase conversions -- faster and easier than ever! Use your marketing budget way more effectively - Never again waste your precious time and hard-earned advertising dollars on ineffective video ads, product ideas or sales presentations! "This All Sounds Great But I Hate "Techie" Complicated Stuff!" No worries. We've made Humalytics EXTREMELY user friendly. If you can check your email and post on Facebook, you can use Humalytics like a PRO. Create a video survey in seconds by simply adding your videos from your computer, YouTube or Vimeo. Share a unique link with your audience. You can even post on Facebook. They open and watch. We measure their micro-expressions and responses using the webcam or front facing camera (with their permission of course). The Incentives module below will work like magic for this step. Learn how your audience reacted to every frame of your video. You can download the raw data or print off a report. It’s yours to use however you want. "Uncovering Buyer Objections & Concerns During 1-on-1 Calls, Group Coaching or Even Sales Calls?" Upload your video call recordings and/or screencasts from your computer with a few clicks. Uncover buyer and/or student obstacles and concerns during your call so you can easily go back and make quick adjustments and tweaks to your presentation. Humalytics facial analysis algorithms capture and understand how your audience reacted to every frame of your call. You can download the raw data or print off a report. Gather actionable, real-time insights about your audience's reactions to your campaigns and slash video advertising expenses by knowing your return on investment (ROI) – in advance! Create the exact video content your audience is hungry for before you even spend the time and money creating them. Craft the perfect webinar presentation and keep attendees on the edge of their seats based on what they WANT to hear and not what you “think” they want to hear. Keep their attention and plug the holes in your sales message and stop profit leaks by knowing exactly what buyer obstacles or concerns you need to overcome … and ultimately increase sales! Uncover your customer's pain points and emotional needs and understand the reasons behind behavior. Whether you’re on 1-on-1 or a group coaching calls, we’ve got you covered so you can provide better care & better service! Pinpoint your buyer's hottest burning concerns and overcome their objections so you can convert more prospects into paying customers. Validate and know exactly how well your next product idea will go down with the market before you even develop it. Build a better product by measuring how your prospects feel about it. With the Humalytics intelligent facial analysis algorithm you can measure the behavior and emotional triggers of any marketing campaign in real time. Swiftly Improve Sales & Conversions. Upload recordings of your 1-on-1 calls, group coaching, interviews and even sales calls and analyze their emotional reactions! Reward your prospects & customers for participating in your video surveys. See exactly how your audience is responding to your video, right down to the exact second. Simply upload a video from your computer, or paste a link from YouTube or Vimeo. Boost profits by setting up FB pixels so you can sell more stuff to those participants. All information regarding data analysis is exported easily in CSV format so you can analyze the patterns and behaviors at your pace! It's your software, so it should have your branding on it. Your customers will look at you in a new light when they see your branding all over this amazing technology! "OK... I NEED This Hi-Tech Software. Every entrepreneur knows that people buy for emotional reasons. Now, imagine being able to read people's minds and predict what your customers REALLY want. WITHOUT GUESSING OR RELYING ON ASSUMPTIONS. Today, we're giving you the "magic key" to make the impossible...possible. You're going to enjoy the extra sales, and your competition will be left scratching their heads, wondering how you're doing it. Like we already discussed, the outdated "traditional video analytics" requires you to GUESS if your videos will connect with your audience and have the effect on them that you hoped for. If you get this wrong, that means you would lose all the time and money required to get this video in front of your target audience. How much time or money do you normally spend creating your videos? A few days or even weeks of time, or thousands of dollars for a video sales letter? How much money do you spend in advertising to get a video in front of your target audience? $50? $500? $5,000? $50,000? Now imagine all of this going to waste because you were promoting a video that was ineffective. Not to mention all the months you spend working towards a big project like a product launch, only to have the sales video flop completely on it's face. This not only means lost sales and time and money wasted on your end, but imagine how upset your affiliates will be when they put the effort into a nice promo to send you a bunch of traffic, only to find your sales video isn't converting. Bottom line...your video needs to connect with your audience and have the effect on them that you want it to. Up until now, you'd have to be an seasoned marketer with years of experience OR just lucky to get it right. up when the timer hits ZERO! Near real-time. It takes a little longer if you're testing something like a documentary or a long VSL. Niche marketers, coaches, consultants, website and eComm shop owners, authors, speakers, newbie marketers, local businesses and even market researchers, data analysts, content producers, and anyone who wants to test the reactions of real people. How many emotions does it cover and how does it recognize people’s emotions? What if I don't like it or it's not for me? Is there any guarantee? Yes. Just send a ticket to our support desk and we'll refund you without a problem. Is this detection using the camera to determine if the user is smiling, frowning, etc? Why on earth would someone open their camera for me? Let me ask you this...why would someone take a survey or have a call with you? Because they want you to help them. In addition, there's a "Survey Incentives" module built-in that once enabled will sweeten the deal for them even more. Does this violate my viewer’s privacy? Nope. When your viewers open the link to watch your content, they are given instructions on exactly what is going to happen and it also asks their permission to activate the webcam or camera. They know exactly what is happening. it does NOT store any videos with their faces on it. It just analyzes their expressions on the fly and stores ONLY the emotional data. No videos are stored at all. Will it work with both Mac & PC? Yes! There is nothing to download so you don't have to worry about compatibility issues. Humalytics works in the cloud. Just log into your account and go! Do you offer training or video tutorials? We aren't new to the scene, and this isn't our first product. We have been building software since 2009 and have a dedicated support staff ready to help you during business hours every day Monday through Friday.